Here is a great post today by Mike Metzer on how we achieve those creative aha! moments. Henri Poincaré's flash of insight arrived as he boarded a city bus. Albert Einstein's epiphany came as he imagined a boy riding alongside a light beam. When C. S. Lewis arrived at Whipsnade Zoo, he got a surprise – he believed in Christ as the Son of God.1 In each case, insight started with a surprise, not a search. Surprised? 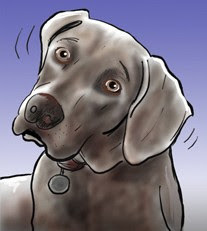 Welcome to the "doggie head tilt" – the first step for reframing religion in today's world. Henri Poincaré was the nineteenth-century mathematician whose insights advanced non-Euclidean geometry. But his work didn't go forward until he stopped thinking about mathematics and simply boarded a bus. "At the moment when I put my foot on the step," Poincaré wrote, "the idea came to me, without anything in my former thoughts seeming to have paved the way for it… upon taking my seat in the omnibus, but I felt a perfect certainty. "2 Halting one activity ("left brain" research) led to Poincaré's "Aha" epiphany. Albert Einstein unlocked the mysteries of electromagnetic field equations discovered by James Clerk Maxwell years before.3 But Einstein wasn't delving into Maxwell's theory as much as daydreaming about light beams. Taking a break from investigative work (a "left brain" activity) led to Einstein's insight. Arresting or stopping the thinking process is what I describe as the "doggie head tilt." This picture comes from my one talent – I can simultaneously hum and whistle. When I make this sound, dogs stop dead in their tracks and their heads tilt. Arf? It's like a stun gun to the left hemisphere of the brain. But why in heaven's name would we want to do this – stop the "left brain" in its tracks?